June 7, 2016 by Ken Ward Jr.
A death investigation is under way after a miner was killed at the New Era Mine in Saline County on Monday, June 7, 2016. Captain Bill Paterson with the Illinois Department of Mines and Minerals says the man suffered fatal injuries when he was pinned beneath a piece of equipment. Another miner was also hurt and is recovering in the hospital. 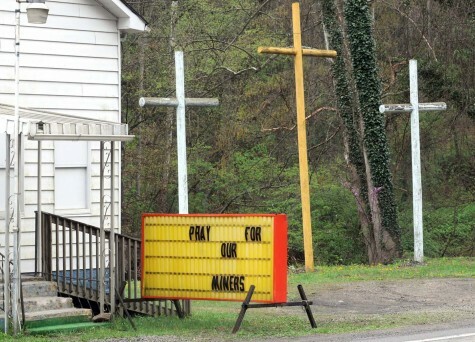 The names of both of the miners are being withheld until family is notified. New Era Mine is owned by American Coal. The American Coal Company (“American Coal”) confirms that an accident occurred at its New Era Mine, this afternoon, in which an employee of a contractor, David Stanley Consultants, LLC, was pinned beneath a piece of equipment on which he was working. The name of the individual is being withheld pending notification of family members. UPDATE: The contractor employee is Mr. Robbie E. Clark, thirty-four (34) years old, of Eldorado, Illinois. This matter is currently being investigated, and we will continue to work closely and diligently with appropriate authorities. American Coal is committed to ensuring that safety remains the absolute highest priority across all of our operations. Our employees and management are deeply saddened by this tragic event. During this very difficult time, we send our sincerest condolences and prayers to the family and to all those affected by this loss. This is the fifth coal-mining death listed by MSHA so far this year in the U.S.
Two miners were working with a diesel scoop. They lowered the bucket and put downward hydraulic pressure on the bucket to raise the middle of the scoop up. Both men crawled under the scoop to look at something. The hydraulic pressure slowly released, allowing the scoop to lower onto and trap the two men under it. An examiner heard them yelling and came to the scoop and saw them under it. He put downward hydraulic pressure on it again by lowering the bucket. He got the survivor out and then they got the victim out. CPR was started but the victim could not be revived.